10 GREAT WAYS TO GET OUTSIDE WITHOUT GOING ANYWHERE! Research shows that bird watching is good for your health. You don't need much to get try it out. Find a good spot to sit, ideally near some trees or flowers that attract birds, wait and listen. Enjoy a technology free moment, see how many birds you can see in 20 minutes! Spread out a blanket, set up a table or ask the restaurant if you can sit on the patio and bring your food outside. Make your meal a little longer, stretch your legs and hopefully let the sunshine soak into your back. 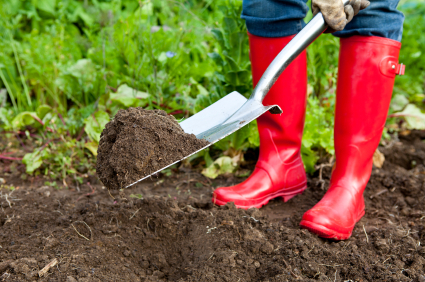 Rain or shine, it is good to dig in the dirt. Clear the weeds, plant some flowers, mow the lawn, prune the bushes. Take a break, drink some water and smell the flowers! Take the extra time today and walk to the store. Bring a backpack, buy what you need and enjoy the stroll home.